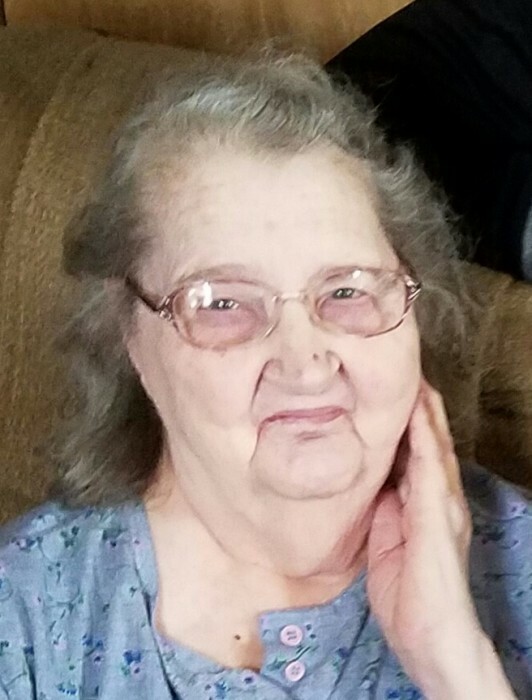 Ruth Erdine (Powell) Wigton, 84, of Twp. Rd. 110, Mount Gilead died Sunday morning, January 13, 2019 at home. She was born on August 3, 1934 to Howard and Annie (Skaggs) Powell in Morral near Marion, Ohio. Ruth lived in Mt. Gilead for 50 years. Ruth is survived by her 6 children: 5 daughters, Cathy (Steve) Brookover of Mt. Gilead, Carol Wigton of Mt. Gilead, Susan (Danny) Geyer of Marion, Annie (Brian) Belcher of Fremont, Connie (Luis) Cuenco of Oklahoma, and a son, Allen (Kim) Wigton of Mt. Gilead; 8 grandchildren, 8 step-grandchildren, 11 great-grandchildren, numerous step-great-grandchildren; 3 brothers, 1 sister, 2 sisters-in-law, 1 brother-in-law; numerous nieces and nephews and great nieces and nephews. Ruth was a loving wife, mother, grandmother and great-grandmother. She loved to cook, bake, sew, country music, her kids, grandkids and great-grandkids. Ruth was married to Ernest Wigton on January 22, 1955 in Ashley, Ohio. They were married for 57 years before he proceded her in death in 2012. Ruth was also preceded in death by 3 daughters, twins and Laura Wigton; her parents, Howard & Annie Powell; brother, Virgil Powell; 4 sisters-in-laws and 3 brothers-in-laws. Friends may call on Thursday, January 17, 2019 from 10:00 to 11:00 am at Gompf Funeral Home, 440 Center Street in Cardington. The funeral service will follow at 11:00 am with Chaplin Jeff Slider officiating. Following the service, the burial will take place in the Bloomfield Cemetery. Those wishing to make a memorial contribution are asked to consider the Hospice of Morrow County, 228 South Street, Mt. Gilead, OH 43338. Those wishing to share a memory of Ruth or to express a condolence to the Wigton family may do so by visiting www.gompffh.com.